End of the month with Nell Peters: There goes October! I’m writing this blog even more in advance than usual because we are away from 22nd October to 30th – flying back then from a late break in the sun (hopefully!) That’s assuming the OH is still in one piece after his flight to Monaco on Friday 13th (cue spooky music!) – he’s due back practically minutes before we set off. Could be worse; I’ve had to meet him at the airport before now. With all the shenanigans going on with air travel recently – so glad we are booked on BA and not Monarch or Ryanair – I have fingers and toes crossed that our flight isn’t delayed until the 31st, because historically that has been a very bad day for plane crashes. Exactly a hundred years ago during WWI, a Fokker (careful how you say that) piloted by a Lt. Pastor suffered structural failure and crashed – it was the second such accident in three days, and needless to say, all those aircraft had to be grounded until the design fault could be identified and rectified. 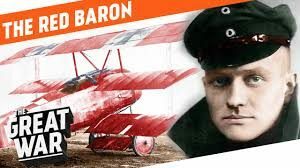 Pastor was under the command of infamous fighter ace Manfred von Richthofen, aka as the Red Baron, because he held the hereditary title of Freiherr (free lord) and painted his plane red – all the unit’s planes were brightly coloured, hence their epithet, The Flying Circus. I’ve mentioned before that my grandfather was a youthful pilot with the Royal Flying Corps – a sepia photograph of him sitting in his flimsy plane hangs on one of our landings. As I drift past and glance his way, it never ceases to amaze me how incredibly brave those young airmen (of whatever nationality) were, when their life expectancy was a mere seventeen flying hours – they were indeed ‘Those Magnificent Men in their Flying Machines’. Unlike my grandfather, the Red Baron didn’t survive to see peace declared despite his eighty air combat victories; his luck ran out in April 1918. Drat – I have that song rattling around my head now … they go up tiddly up up, they go down tiddly down down. Coincidentally, The Battle of Britain ended on this day in 1940 – since 10th July, nearly three thousand RAF pilots, including many from what was then the British Empire plus refugees from Nazi-occupied countries in Europe, had been defending British air space over southern England against the Luftwaffe’s relentless attempt to wipe out airborne defences. Flushed with his successful infiltration of much of Europe, this was the prelude to Hitler’s ultimate plan to invade and conquer this ‘Sceptred Isle’. The pilots of Fighter Command, dubbed ‘The Few’ by Churchill, had an average age of just twenty and were paid £264 pa (a little over £30,000 in today’s money). Sadly, during ‘Our Finest Hour’ (Churchill again) five hundred and forty-four fliers were killed and over a thousand aircraft lost – but (fortunately for us) they were victorious and Adolf backed off to lick his wounds. In 1949 a pilot conducting secret tests of a prototype aircraft died when he crashed into houses in Yeovil, also killing two victims on the ground – and the following year a British European Airways (now part of BA) Viking failed to make it off the runway at Heathrow (then London Airport) in foggy conditions. Of the thirty people on board, only a stewardess and one passenger lived to tell the tale. Fast forward to 1964, when NASA astronaut Theodore Freeman perished after a goose smashed through the cockpit canopy of his Northrop Talon jet trainer in Texas, causing shards of Plexiglas to enter the engine, which caught fire. 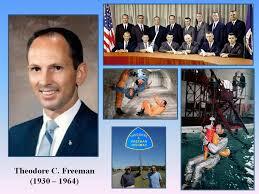 Although Freeman ejected, he was too close to the ground for his parachute to open properly. He was posthumously awarded the Purple Heart. 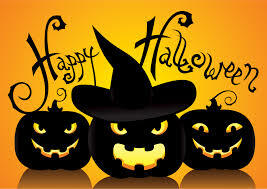 More Halloween air disasters in 1979, 1994, 1996 and 1999, and in 2000 there were two – in total, hundreds of passengers and crew lost their lives. Most recently, in 2015, on the day that New Zealand beat Australia 34-17 during the Rugby World Cup final at Twickenham, a Russian airliner came to grief in Egypt and two hundred and twenty four people died. So you see my point? Maybe not a good day to fly, if you have a choice. 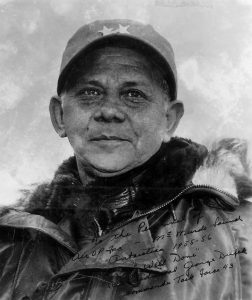 There have been some good aeronautically-associated events on 31st October, however – like Rear Admiral George J Dufek becoming the first American to land an airplane at the South Pole in 1956, and BA taking on its first female pilots in 1987. 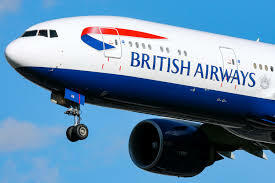 Shall we move along, feet firmly planted on terra firma? Indira (no relation to Mahatma) was India’s first and so far only woman PM. Politics were obviously in the genes, because her dad was India’s first PM, Jawaharal Nehru. 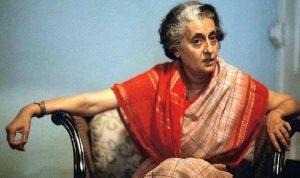 She had two sons – Sanjay, the younger, had been her chosen successor politically, but died in a flying accident in 1980, leaving Rajiv (a pilot) to take up the reins following her death. He was himself assassinated in 1991. 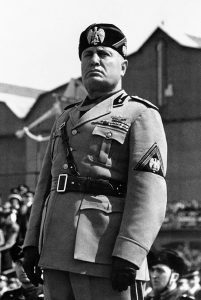 Dangerous stuff, politics, as Italian fascist PM Benito Mussolini may have noticed in 1926, when an assassination attempt was made on his life – not a brilliant way for him to celebrate his fourth anniversary of taking office. Fifteen year-old schoolboy, Anteo Zamboni tried to shoot the leader in Bologna during a parade, but the unfortunate youth missed and was immediately set upon by squadistri (fascist squads) who didn’t ask any questions and lynched him. 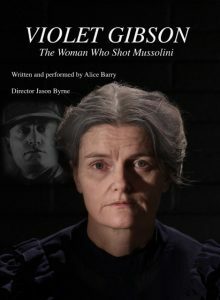 This was the second unsuccessful attempt on Il Duce’s life that year – in April, middle-aged Irish woman, The Honourable (but not very) Violet Gibson, daughter of Lord Ashbourne, shot him as he walked among the crowds in Rome after delivering a speech. Armed with a revolver disguised by her shawl, she fired once, but Mussolini moved his head at that moment and she hit his nose (no ‘on the nose’ jokes, please); when she tried again, the gun misfired. Poor old Vi was almost lynched (what is it with Italians and lynching?) by an angry mob, but police intervened and escorted her away for questioning. Mussolini’s wound was slight, and after being patched up, he and his bandaged nose continued walkabout. Violet was deported to Britain and spent the rest of her life in a mental asylum. 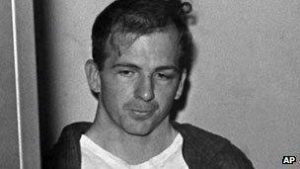 This was the day in 1959 when ex-marine and accomplished marksman Lee Harvey Oswald decided to visit the US Embassy in Moscow and declare he wanted to renounce his American citizenship. It was a Saturday, so perhaps he was at a loose end. Officer Richard Snyder accepted Oswald’s passport and a written note, but told him that further paperwork would need to be completed. Oswald didn’t follow through with the process and when he became disaffected with life in Russia (not too many burger joints there at that time, I imagine) returned to the United States in 1962. News of the defection made the front pages of American newspapers, four years before he would be reviled globally as the alleged assassin of JFK. Speaking of the late President, he held his last meeting with FBI Director, J Edgar Hoover this day in 1963. 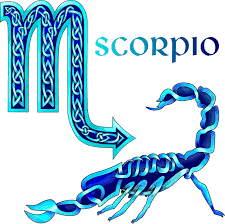 31st October falls within the zodiac sign of Scorpio (23/10 to 21/11). Honesty and fairness are two qualities that make Scorpios a good friend to have – they are dedicated and loyal, but if they feel let down, it’s curtains. Quick-witted and intelligent, they are full of surprises but also very emotional. Ideal careers for Scorpios include scientist, physician, researcher, sailor, detective, business manager and psychologist. I can think of only four Scorpios I’ve known – although I’m sure there are probably many others – one being super-blogger and lovely lady, Anne Williams (23/10) of Being Anne, a great supporter of writers and thoroughly good egg (whatever that means?) Then there’s a sister-in-law (10/11) who is mad as a box of frogs … seriously. She’s the sort of person that if you pick up the phone and hear her voice on the other end, you really, really want to pretend nobody is in and you are the answering machine. Another I haven’t been in touch with for many years now – he (7/11) was a member of the Bomb Squad and worked in all sorts of hairy situations worldwide. I don’t know if it’s true, but he told me that a group of them were drinking in a bar (are the military allowed to drink in uniform off-base?) 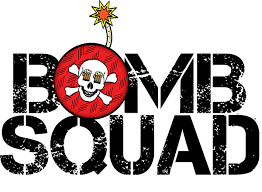 and someone asked what the bomb insignia on their sleeves stood for – they told him they were the Army darts team. The third (21/11) is a lecturer in Sociology, has OCD by the bucket load and is tattooed almost everywhere on his body (he tells me!) Typical Scorpios? You decide – I know who I’m voting for. Boston Custer was born on 31st October 1848 – one of the younger brothers of Lt Colonel George, of Little Big Horn fame, or infamy. Boston – unlike brothers George and Thomas – was unable to officially join the army due to ill health and so became a civilian contractor. In this capacity he was a guide, forager, packer and scout for the regiment on the 1876 expedition against the Lakota Indian tribe. 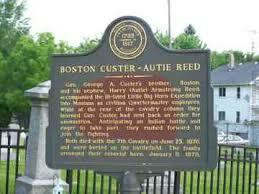 On June 25th, along with his teenage nephew Henry Armstrong (Autie) Reed, Boston was with the pack train at the rear of George’s troops when a messenger reported that his big bro had requested ammunition for an impending fight. Boston and Autie left the train to take the ammo forward and joined the main column, as it moved into position to attack a sprawling Indian village along the Little Big Horn River. If they had stayed put, they might have survived the battle that became known as Custer’s Last Stand. But they didn’t, and perished along with George and Thomas. A fourth brother, Nevin, became a farmer because he suffered from asthma and rheumatism and was not fit for the military, even as a civilian contractor – strangely lucky for him. 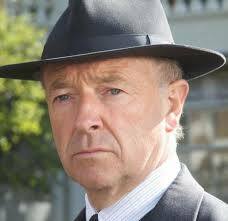 A century after Boston Custer, English actor Michael Kitchen was born in Leicester – although he’s been in many TV and film dramas, he’s perhaps best know now as DCS Christopher Foyle in Foyle’s War, who is driven around by the splendidly-named Honeysuckle Weeks and always gets his man. Continuing the parts of a house name theme, American soap actress Deidre Hall was born a year before Michael, so Happy 70th today! – her twin sister, Andrea, is also an actress. In sharp contrast to MK’s prolific and varied career, Deidre has played the role of Dr Marlena Evans in Days of Our Lives for forty years – wow! She won her first award for the part in 1982 – the year another set of twins, aka the Cheeky Girls, were born on Halloween. I’m sure Monica and Gabriela Irimia have heard all the jokes, so I’ll leave it there. Thanks again for having me, Jenny – and no, I am not wearing a horror mask, I always look like this. Nell Peters writes mainly Crime. Her two Accent Press novels can be found here: www.myBook.to/hostilewitness and www.myBook.to/BAON and other books are on Amazon KDP. Thank you ever so much Nell. Another stunning blog. Loved it.